Chinese Takeaway web site for a longstanding customer. 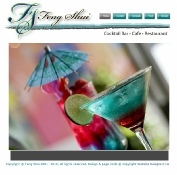 “Feng-Shui” cocktail bar and restaurant web site. My first customers were a solar panel business, Chinese restaurant and a cocktail bar. I offered these customers regular maintenance and updates. Now, in 2017, I offer a choice of standard website design, or WORD PRESS with full e-commerce. 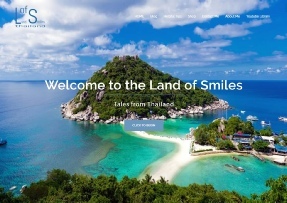 My first is www.landofsmilesthailand.com, a masterpiece of design and engineering. 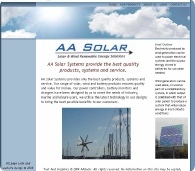 It is also slightly dearer than a standard website, but quality and reliability are guaranteed. The selling point for the word press site is you can take control and update “blogs” etc on your own. Standard websites are sort of fixed and not really up dateable without programming. However, there is a site for every budget. All sites have hosting and renewal fees are reasonable, currently around £99 per year all in. Any domain name renewals are additional to this price. I am willing to guarantee your site will have enough space to grow as your business does. See our pricing plans for details.